The fundamentals taught in circuit theory were never intended to work above a few megahertz, let alone at a gigahertz. While electronics is grounded in physics, most engineers’ education in this area is too general and mathematical to be easily applied to the problem of high speed circuits. Left to their own devices, many engineers produce layouts that require expensive revisions in order to finally meet specifications. 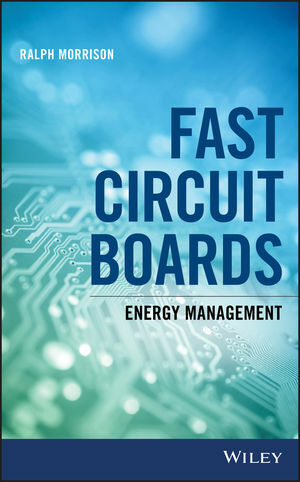 Fast Circuit Boards fills the gap in knowledge by providing clear, down-to-earth guidance on designing digital circuit boards that function at high clock rates. By making the direct connection between physics and fast circuits, this book instills the fundamental universal principles of information transfer to give engineers a solid basis for hardware design. Using simple tools, simple physics, and simple language, this invaluable resource walks through basic electrostatics, magnetics, wave mechanics, and more to bring the right technology down to the working level. Engineers and technicians seeking a more systematic approach to board design and a deeper understanding of the fundamental principles at work will find tremendous value in this highly practical, long-awaited text. RALPH MORRISON, MS, EE, is a consultant and lecturer in the area of interference control and electronics. As the former president of Instrum, he has thirty years of design and consulting experience, and is the author of Noise and Other Interfering Signals, Grounding and Shielding in Facilities, and Solving Interference Problems in Electronics.